Life looks a lot rosier when you sip from these gold-rimmed glasses. 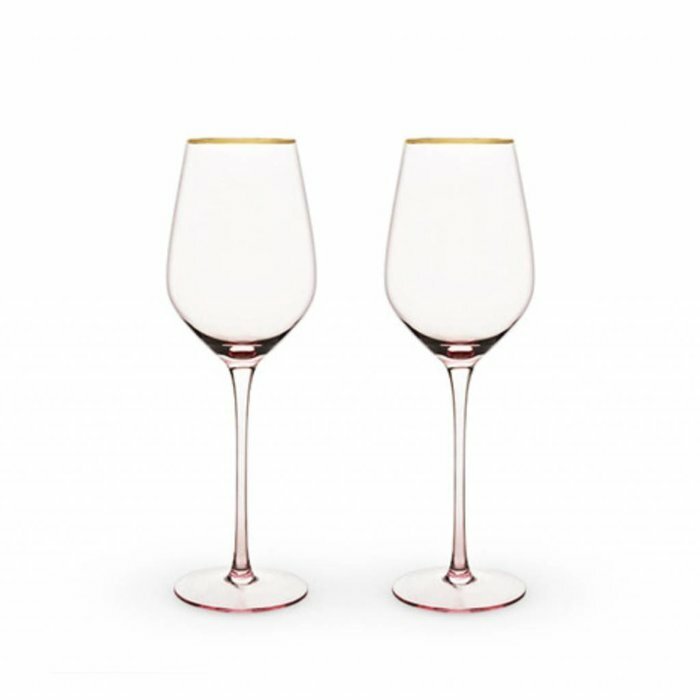 Tinted in delicate pink, these crystal glasses are the perfect vessels for your favorite bottle of white. Gift boxed set of 2.